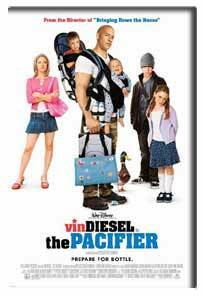 Navy SEAL Shane Wolfe (Vin Diesel), an elite member of the world's fiercest and most highly trained force thought he was prepared to take on any duty no matter how perilous or impossible... until he tried baby-sitting. Assigned to protect the five out-of-control children of an assassinated scientist working on vital government secrets, Shane is suddenly faced with juggling two outrageously incompatible jobs: fighting the bad guys while keeping house. Replacing his usual arsenal of wetsuits and weapons with diapers and juice boxes, Shane not only must battle a deceptive enemy but wrangle teen rebel Zoe (Brittany Snow), sullen 14 year-old Seth (Max Theriot), eight-year-old Ninja-wanna-be Lulu (Morgan York), as well as three-year-old Peter and baby Tyler -- not to mention their off-beat Romanian Nanny (Carol Kane). But while drop zones, demolitions and destroying enemy targets come naturally to Shane, he has no idea what tough really is until he pits his courage against diapering, den-mothering and driver's education. He's truly a SEAL out of water, and now it's up to this one-time lone warrior to take on the most important mission of his life: keeping a family together. Kristin Kreuk they say we look alike what ever! I saw this this weekend. I thought that there were a few funny moments but as an actor Vin Diesel leaves alot to be desired.I felt that his dialogue sounded as if he was reading it directly off cue cards. I have this one on my netflix list. I don't like Vin Diesel as an actor either, but the whole premise looks funny, i crack up every time i see the commercial with the girl throwing herself outta the minivan saying "LAND!" 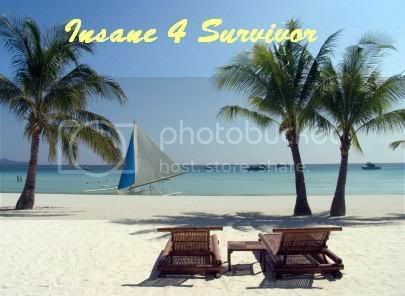 I live Survivor. I breathe Survivor. HELP! !